Trusts in East Peoria, IL | Call Brave Law Center, P.C. When coming up with an estate plan, many people wonder whether a will or a trust is right for them. There are advantages and disadvantages to both. For example, trusts are more complex and often more expensive, but they can help your heirs avoid certain estate taxes and probate court. A simple will, on the other hand, may cover the needs of many people, but a trust is more flexible. If you are planning on leaving a large sum to a minor, a trust would allow you to establish how and when the child will receive the sum after you’re gone. Often, if you create a will, heirs will still need to deal with probate court. Your will can also be challenged. For guidance, you can turn to the team at Brave Law Center, P.C. We are fully licensed and equipped to help you with wills or trusts in East Peoria, IL. A living trust is simply a trust that you create while you are still alive. Living trusts are by far the most popular choice for many people, as opposed to a trust that is created upon death. There are disadvantages and advantages to both. Therefore, it is best to speak to an experienced attorney at length before choosing. Living trusts can provide you with the perfect framework to hold assets, invest assets, and keep your life’s work in the hands of your family and out of the hands of the court. Trusts are created for a number of reasons. Trusts can provide for minors in the event of their parents’ deaths, avoid certain estate taxes, and avoid probate court. The average probate process takes between six to nine months, but complications can arise. This often causes the probate process to take longer. It’s also possible that a will can be challenged, and your last wishes may not be followed. There are many different kinds of trusts, including life insurance trusts and charitable trusts. 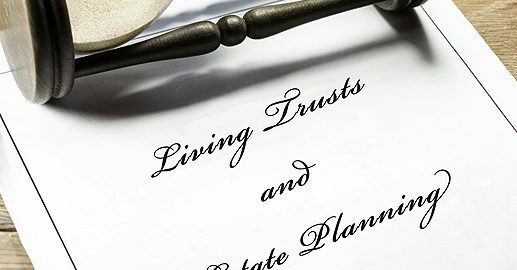 One of our experienced attorneys can help you decide if a trust fits within your estate planning needs. If you would like assistance with creating trusts in East Peoria, IL, contact Brave Law Center, P.C. Call (309) 685-7900 to schedule your free consultation.